Don Maitz is an American artist whose amazing work covers the spectrum of Science Fiction, Horror and Fantasy Art including a very extensive collection of Pirate Art. 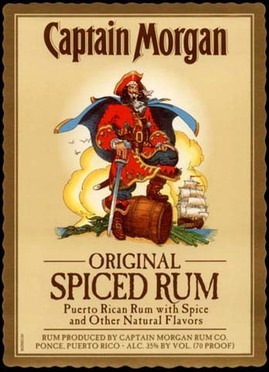 He has twice won the Hugo Award for Best Professional Artist, science fiction's highest honor for an artist and honored ten times with a Chesley Award for outstanding achievement in the Association of Science Fiction and Fantasy Artists, still he is probably best known for his creation of the iconic Captain Morgan spiced rum character. His art has appeared on the covers of books by famed authors and writers such as Stephen King, Isaac Asimov, Ray Bradbury, C. J. Cherryh, Gene Wolfe, Michael Moorcock, and Raymond E. Feist. His works have been showcased in pubic exhibitions and museums across the nation. Major works have been privately purchased and or commissioned by numerous celebrity collectors. 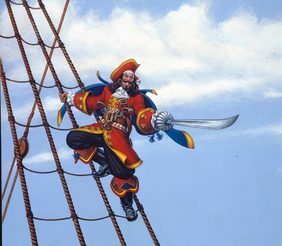 Don Maitz has been recognized by a certificate of merit from New York City's Society of Illustrators Annual Exhibition committee for his painting "Forty Thieves". Watercolor paintings by Maitz have been a yearly installment in Gallery One Masterworks in Miniature exhibitions, and his art has also been juried into the International Marine Art Exhibition at the Maritime Gallery at Mystic Seaport in Mystic, CT, where his oil painting, "A Sheet to the Wind", received an Award of Excellence. Imaginative paintings by Don Maitz have been displayed in group shows at the New Britain Museum of American Art, CT; the Delaware Art Museum,DE; and the Canton Art Museum, Canton, OH. Each of these exhibits drew record attendance.